I spoke at an Ignite event recently as part of the Bath Digital festival. The Ignite format (5 minute time limit, 20 slides that transition automatically every 15 seconds) challenges you to distill what you want to say, and focus on the core of your message. I’ve been wanting to talk about the transition from corporate life to startup founder (and how balancing the two is often necessary) for a while, and this was a great opportunity to talk about a few of the things I’ve learned over the past 18 months working on Speakr while holding down a demanding job. The event wasn’t filmed, but here are my slides. 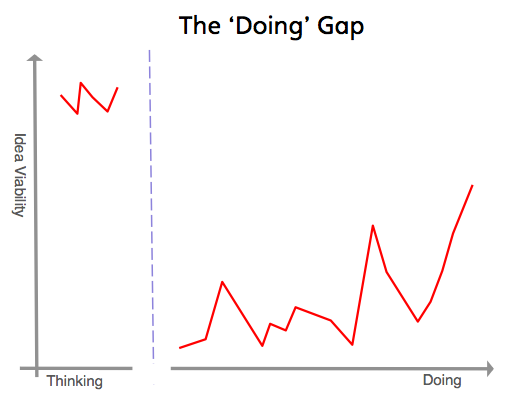 A couple of my slides generated a lot of nodding heads (at least I think they were nodding – it was quite dark). 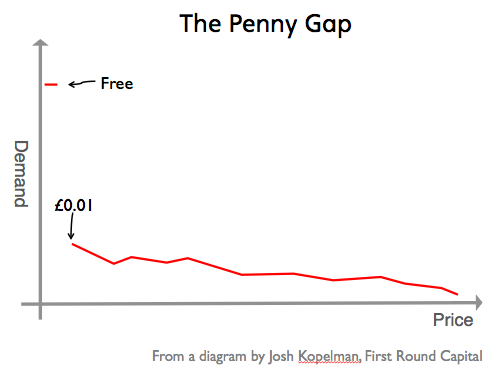 I talked about the gap between thinking about doing something, and actually doing it, using the analogy of The Penny Gap. While we’re fantasising about our idea and the impact it could have on the world – anything seems possible, until we start trying to do something about it. Then it seems a lot harder, and more often than not we let it go. Sometimes though, if the idea is a really good one, we don’t. That’s where really interesting things can happen.